A classic athletic look gets upgraded with sleek style and added comfort in the SKECHERS D'Lites Ultra - Meditative shoe. 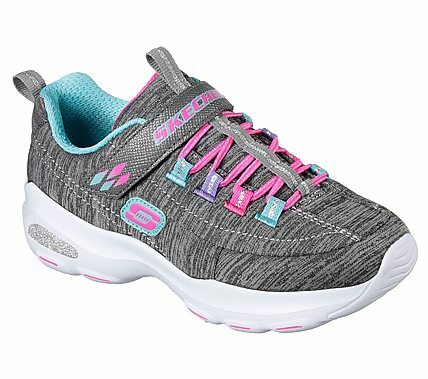 Soft heathered mesh fabric and smooth synthetic upper in a stretch laced slip on sporty walking and training sneaker with stitching and overlay accents. Air Cooled Memory Foam insole.